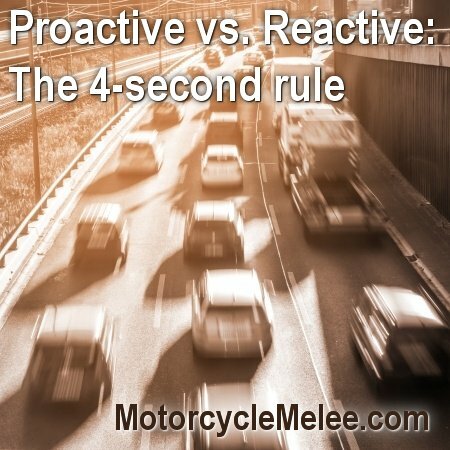 The 4-second rule: Proactive vs. reactive highway riding. 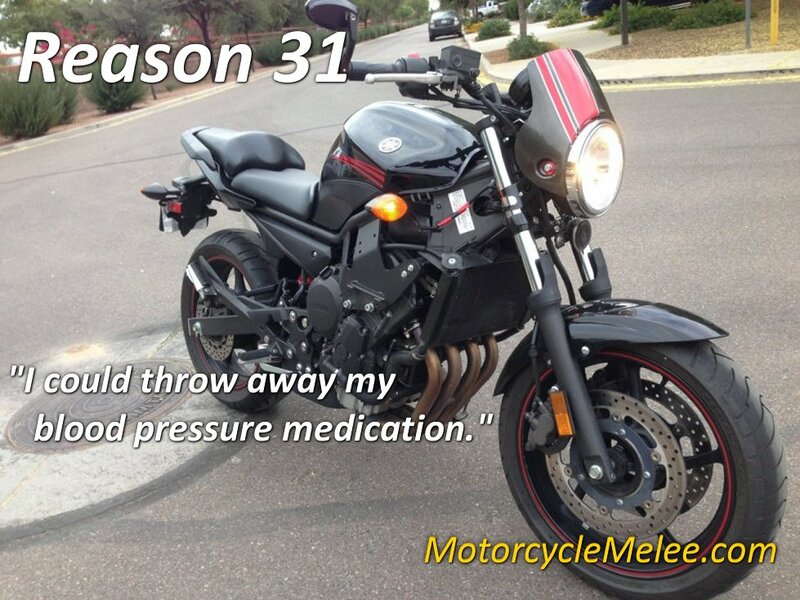 Riding on the highway can be lots of fun, but often it’s mundane with long stretches of straight roads. This can lead to complacency which reduces your effectiveness for reacting to potential problems. One way to avoid the complacency is employing the 4-second rule. The 4-second rule is designed to keep you aware of immediate hazards you will need to be ready for. This makes you a proactive rider versus a reactive rider—increasing your chances for avoiding catastrophe. The idea is to be cognizant of things that are strange in the normal flow of traffic—things that are odd indicating a potential problem you will need to deal with. You do this by paying attention to what’s happening in the 4-second travel zone ahead of you. 1. That one car traveling far too close to the car in front of them—when there is plenty of room in other lanes. 2. The car in the lane next to me – five cars ahead – begins to slow down for no apparent reason. 3. The car in front of me repeatedly drifting over the white lane markers. 4. That car two lanes over, 4 seconds ahead that is braking—when no one else is braking. 5. The truck in the lane to your right that has its side view mirror broken off. 6. Those cars two lanes to the right suddenly merging to their right lane. The idea is to be aware of anomalies in the normal flow of traffic. 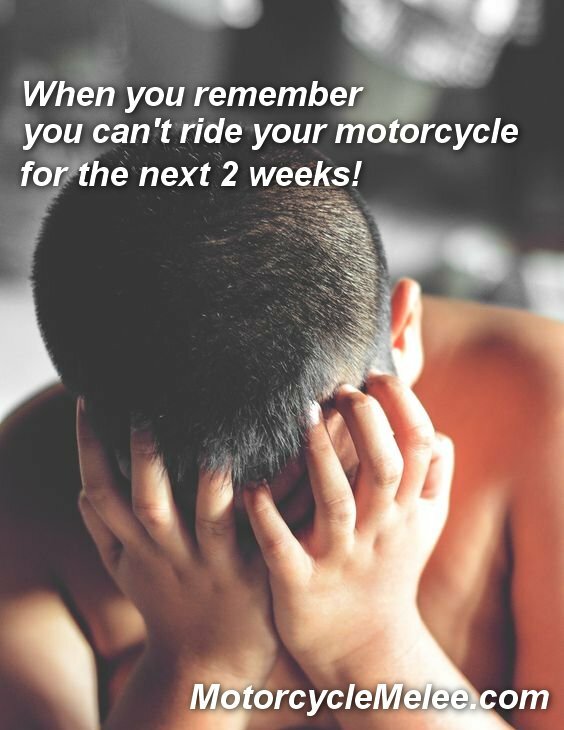 This will keep you in a proactive mode rather than a reactive mode – which will increase your ability to avoid any collisions and safely get you to your destination.